Inky Paws Challenge: Inky Paws Challenge #02 Starts Today! Today is a good day -- because it's Friday, of course, and because it's the start of our new #02 Inky Paws Challenge! Are you ready to get your paws inky with us and play along to win a prize? The Challenge winner will receive a $10 store credit to our online store and a Inky Paws Challenge Top Pick Badge to add to your blog! If we get more than 15 participants, we will choose two winners so be sure to tell your friends to play along! Are you ready to play along and get your paws inky? 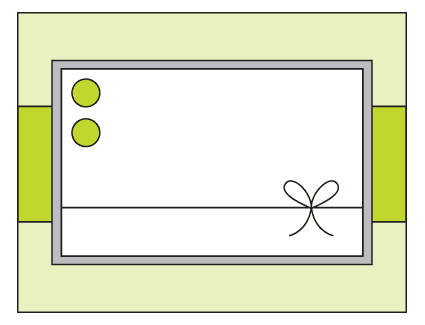 Create a NEW project (card or other paper craft item) based on the sketch above. 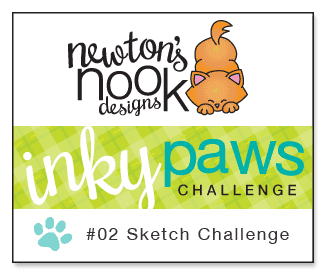 Your project MUST use at least one Newton's Nook Designs stamped image (or free digital stamp -see our First Inky Paws Challenge post to get the freebie). Post your project to your blog or to an online photo gallery such as Flickr or splitcoaststampers (on splitcoast please use keywords newtonsnook and IPC02). Link back to this challenge (if posting in an online gallery copy the link into the photo description). Submit your project to this challenge using the Inlinkz widget below. You must submit a DIRECT link to your post page. Have more than one great idea? You can enter more than once! 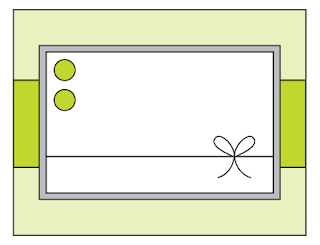 Just link up each card separately. You have two weeks to play along. Deadline to enter is Friday, September 6th, 2013 at Midnight CST. The winner will be announced on the NND blog on Monday, September 9th. Ready for some Inky Paws inspiration? Read the description below each card to see who made it! Design Team Member Samantha Mann played along using Winged Wishes. Isn't it just adorable how she put those baby onsies on the clothesline? Looks like she flipped the sketch upside down... Yup... you can totally do that! 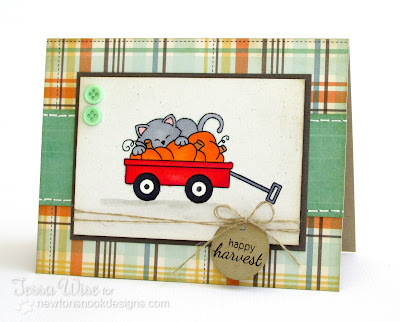 Design Team Member Tessa Wise decided to use the wagon from the Wagon of Wishes Stamp set and filled it with the cute little fall pumpkins and kitty image. 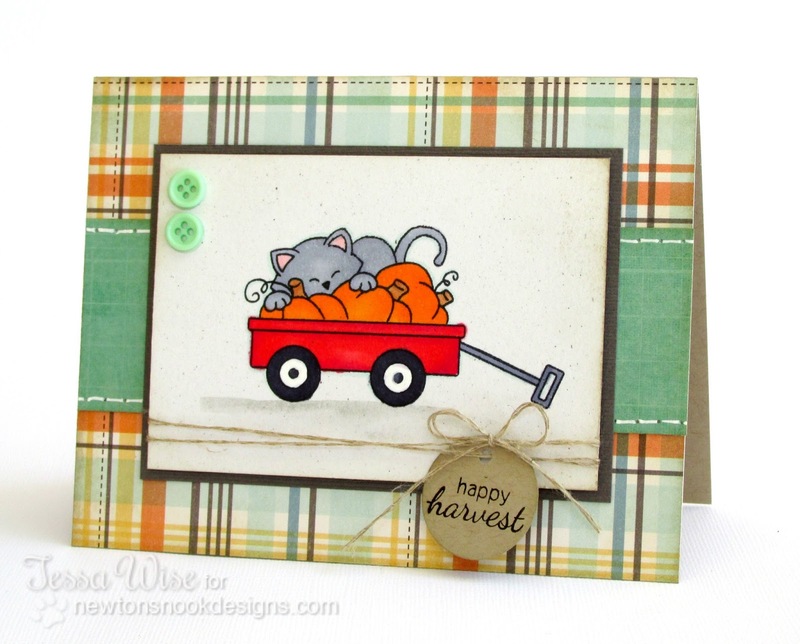 I love the plaid background on her card and the cute little happy harvest tag! I love the colors on this card by Design Team Member Jocelyn Olson! 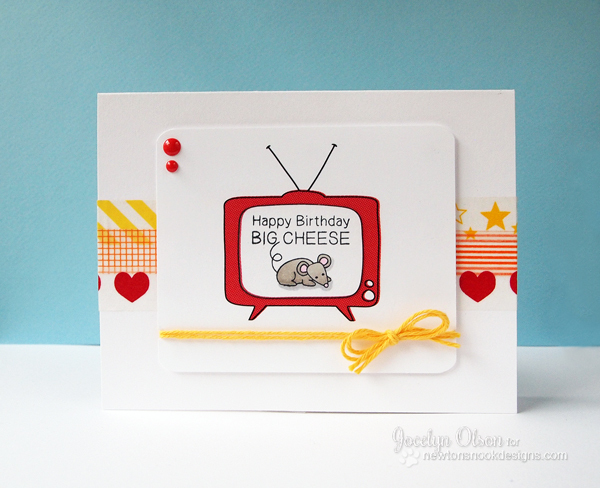 Plus - she thought of such a cute way to use the mouse from the Just say Cheese set! Here is a fun interpretation from our Design Team Member Emily Leiphart! Isn't It cute how she made that Dino look like he's looking up into the sky? The T-rex and sentiment are both from the Prehistoric Pals stamp set. Of course I had to make a couple cards too! 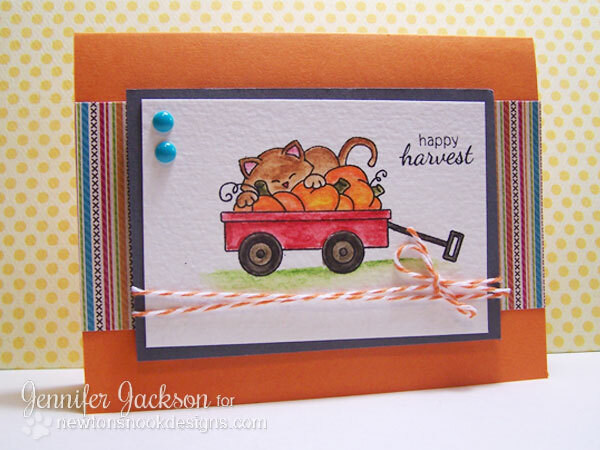 For my first card I also used the set Wagon of Wishes to create fall-themed card! I colored the the wagon image using Inktense watercolor pencils on watercolor paper. I love this stamp with the pumpkins and that cute kitty peeking out from behind them! 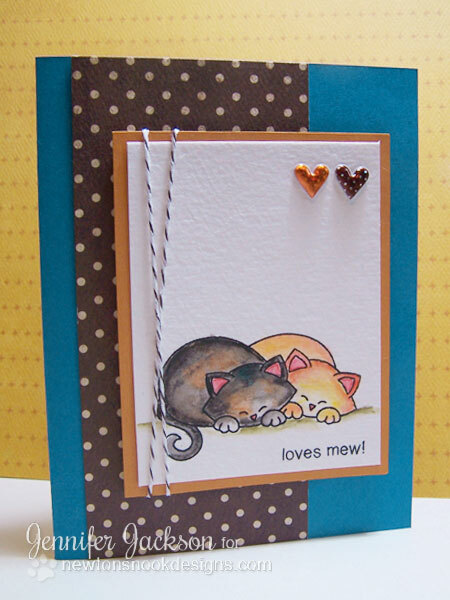 For my second card I used the set Newton's Antics to create this adorable cozy kitty card! Again -- I colored the kitties using Inktense watercolor pencils on watercolor paper. I tried to make them look just like our kitties, Newton and Hobbes!